If you are looking for an Adirondack Vacation, you've come to the right place. The Adirondacks is your spot for skiing, hiking, having fun and the great outdoors! 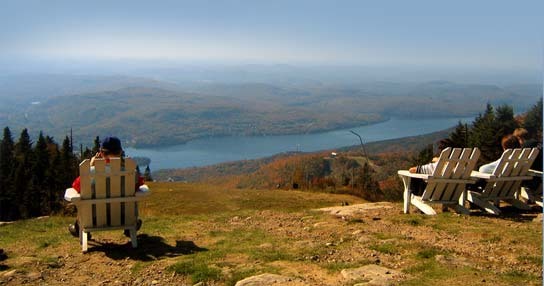 Check out our Adirondack lodging guide and dining guide for where to stay and dine! The diverse system of State lands in the Adirondack Mountain region of New York is known collectively as the Adirondack Forest Preserve. Along with similar lands in the Catskills, the Adirondack Forest Preserve was created in 1885 by an act of the New York State Legislature. The Adirondack Park is home for 54 species of mammals. White- tailed deer are abundant, and there are more black bears in the Adirondacks than in any other part of the state. Forest residents that usually escape detection include bobcat, fisher, and pine marten.